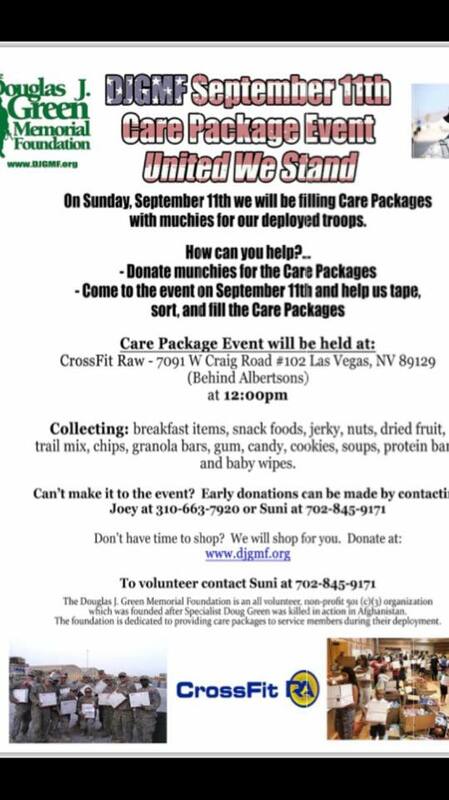 September 11th Care Packing Event! Please join us for our September 11th Care Packing Event! We have a big goal this year! We have many units deployed right now that we’re sending to! What better day to honor the men and women fighting for our freedom! If you have a friend or loved one deployed overseas please message me their APO addresses! God bless our troops!